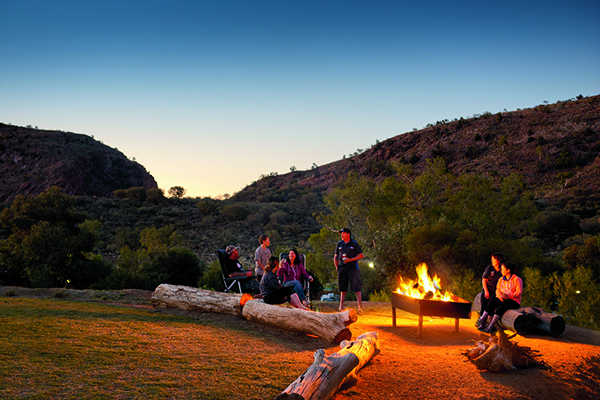 The most awarded holiday park in the Northern Territory happens to be on the doorstep of some of the most unique and spectacular scenery in Central Australia. 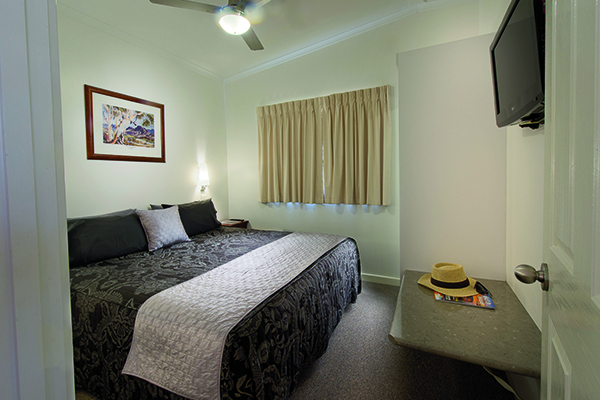 The BIG4 MacDonnell Range Holiday Park in Alice Springs is not only the perfect base from which to explore the magnificent Red Centre but also provides first class accommodation and facilities. 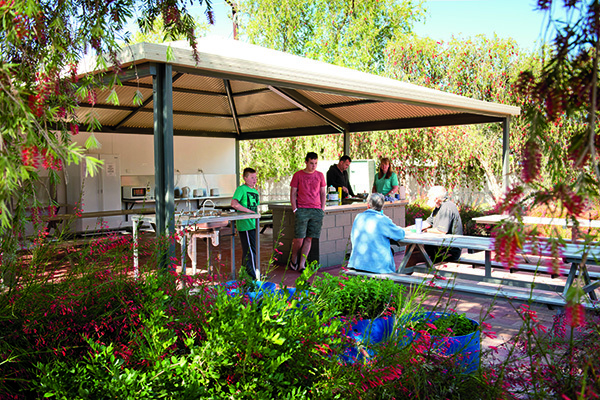 It takes a man of great vision to create a park of such calibre and you only have to spend a couple of minutes with owner Brendan Heenan to know he’s the inspiration behind this ever-changing caravan park. He’s not easy to catch, as he likes to be involved with the day-to-day running of the place; always looking for new opportunities and dealing with difficulties as they arise. Brendan made time in his busy schedule to sit down over a cup of tea to talk with CW about the park’s success, the unique challenges he faces and the many ideas he has for the future. Even though Brendan is well past retirement age, he has a youthful appearance – he has a smile for everyone and makes it a priority to be involved with the up and coming generation. When I asked him about retirement, he laughed and replied, “I hope to stay here until I’m 105!” Brendan is not your typical retiree and he has no desire to pull out of the park’s management. 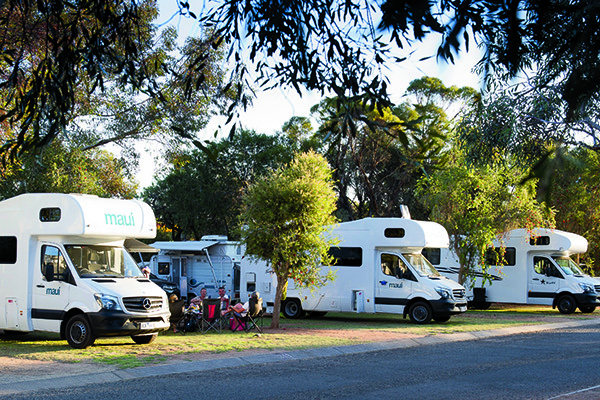 Every caravan park has a humble beginning and the BIG4 MacDonnell Range Holiday Park is no exception. Brendan recalls, “Back in the 1960s, I purchased the land, which is the current site of the park, sank a bore and started a market garden with the help of my wife Bev,” he explained. They successfully worked the land until the water became too salty in the 1970s, presenting them with a formidable challenge. “I wasn’t able to farm anymore so I branched out into landscaping and built a garden nursery,” Brendan said. His entrepreneurship resulted in a viable business, preparing him for the many opportunities that would soon open up in the Red Centre. That was easier said than done, though, because finding sufficient money to build the park wasn’t straightforward. “Interest rates went through the roof in the 1980s and we were fortunate enough to get a substantial loan from the Northern Territory Development Commission, charging us ‘only’ 10 per cent interest,” Brendan said. With no experience in the tourism industry, a massive debt and no certainty, it was a huge risk. But Brendan is not one to do things by halves so he took Bev to Cairns, Qld, to visit caravan parks to work out what they wanted for their holiday park and get ideas. “My vision was to build a park that would provide the best facilities and service, a place that would bring people together to experience the Red Centre,” he said. In 1983, the building project commenced and the caravan park began to take shape. “We started with 150 sites, including 12 cabins, and opened in January 1984,” Brendan recalled. It was a gamble but Brendan’s boldness soon paid off. 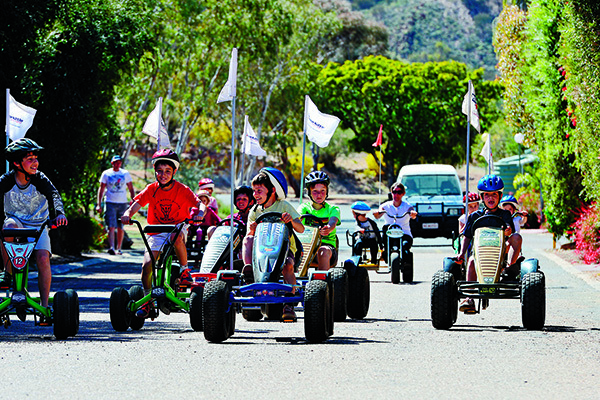 Tourists flocked to Alice Springs to see these unique destinations in Central Australia which had previously been inaccessible. “In 1987, we built another 60 sites to meet the growing demand, followed by 100 more sites in 1999,” Brendan said. These days, the park has 400 sites, including 47 cabins. 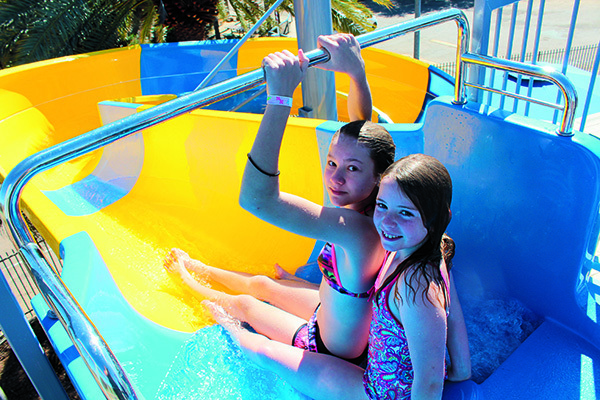 The decision to join BIG4 Holiday Parks of Australia was made in 1989. “We wanted to capitalise on BIG4’s reputation as a nationally recognised brand with excellence in customer service,” Brendan said. With a current 4.5-star rating and a 25-time winner of the prestigious Brolga NT Tourism Award (Tourist and Caravan Parks category), Brendan’s vision has become a reality. This year, the park also made the Gold List of Australian Accommodation with Star Ratings Australia, recognising the first class quality and condition of guest facilities. With 10 permanent staff and more than 20 temporary workers, running a park the size of the MacDonnell Range Holiday Park is a massive task but Brendan’s up for the challenge. Brendan and Bev’s six children are involved with the park in some capacity. Matthew is in charge of grounds, maintenance and housekeeping. Fiona takes care of the accounting, marketing and promotions and Anne Marie looks after the office administration. Michael and Sean are contractors who get involved with the different projects Brendan dreams up year after year. Future plans include finishing the entertainment centre and adding toilet facilities, kitchenette, a gym and a reading room, all of which are currently being built and should be finished by March 2017. Last but not least, the park runs a weekly entertainment program which includes the famous Sunday Pancake Breakfast. You’ll probably be served a freshly cooked pancake by Brendan himself, with his contagious smile. So next time you’re in the Red Centre, stop in and experience this award-winning park for yourself. You’ll undoubtedly receive a warm welcome and you’ll go back, like most visitors have for the past 32 years. The full article appears in Caravan World #555 September 2016. Subscribe today for the latest caravan reviews and news every month!